Here is a selection of our recent & upcoming new homes developments. Quiet Waters is a luxury development of 30, 3 & 4 bedroom family houses and 1 & 2 bedroom stylish apartments located in Angmering, West Sussex.. 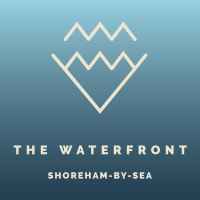 The Waterfront is an exclusive development of 120 riverside homes, comprising 1, 2 & 3 bedroom apartments, 3 bedroom townhouses and stunning 4 bedroom waterfront homes. An outstanding, gated development of nine, elegantly designed 2 & 3 bedroom apartments, just a short walk from Kemptown and Brighton’s bustling city centre. Styles Field is a unique development of sixteen contemporary 2, 3 & 4 bedroom houses and 2 & 3 bedroom apartments. There is also a selection of duplex apartments. All of the homes come with gardens, terraces or balconies. All properties benefit from secured underground parking with gated entrance. Elizabeth Court is a stunning new development in the heart of Burgess Hill offering a range of apartments and a 4 bedroom house. All the properties offer open living space, double bedrooms, large bathrooms and an en-suite shower room. Welcome to Montpelier Place: a striking new development of contemporary 1 & 2 bedroom apartments, penthouses and 4 bedroom townhouses set in the Clifton Hill and Montpelier Conservation Area. A boutique development of nine substantial 3 & 4 bedroom beautifully appointed, architecturally designed homes located just outside Lewes & Ringmer. 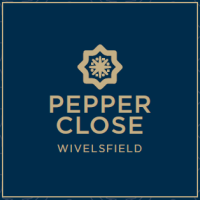 Pepper Close offers a selection of 7 contemporary detached and semi-detached new homes, ideally positioned in a semi-rural location in the Sussex village of Wivelsfield. One Nizells Avenue is a sophisticated new development of 7 luxurious apartments and 2 exquisite townhouses, adjacent to St. Ann’s Well Gardens in Hove. This newly constructed, gated development is home to four exclusive two and four bedroom houses. Beautifully finished throughout, each house is accompanied by a private garden, off-road parking and solar panels. A selection of four, newly constructed & beautifully appointed, 1 and 2 bedroom, penthouse apartments in Central Hove with good sized terraces and parking. A collection of five stunning and contemporary loft style apartments located in the heart of Worthing, just off the seafront. A collection of 24 stunning studios, one bedroom & two bedroom contemporary new apartments in central Lewes. A luxury development of 63 contemporary homes, comprising sixty one 1 & 2 bedroom apartments and two stunning rooftop Penthouses. A selection of 2 & 3 bedroom apartments available to purchase on a shared ownership basis. Finished to the highest standard and situated in the heart of Seaford town centre opposite the train station. A superbly finished development with a range of 3 & 4 bedroom houses situated in the popular village of Cooksbridge approximately 3 miles from the County town of Lewes. Finished to the highest standard with great attention to detail. A boutique development comprising seven new luxury 2 and 3 bedroom apartments, all with patios, balconies or terraces. This exclusive gated development of luxurious apartments features clean lines and simple silhouettes, with leafy views in a park-side setting. Lace House is an exceptional development of nine elegantly renovated 1 & 2 bedroom apartments just across from the Victoria fountain in the middle of Brighton's Old Steine. Developer - Lace Wilson Properties Ltd.
1825 Residence is a stunning contemporary development of eleven 1, 2 & 3 bedroom luxury apartments, in the heart of Brighton’s Old Steine, overlooking the Victoria Fountain. The Courtyard at Stanmer Park offers a selection of seven beautifully appointed three and four bedroom luxury townhouses. A gated development with allocated parking, contemporary kitchens, Porcelanosa bathrooms & en-suites, under floor heating and the remainder of 10 year NHBC warranty. New Wave is a dynamic new development of 33 private sale One, Two & Three bedroom apartments & Three bedroom townhouses in a sought after residential area between Hove Park & Hove Station. A striking new development of nine city centre 1, 2 & 3 bedroom apartments. 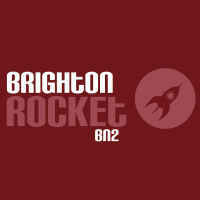 Easy access to Brighton Mainline Station and Seafront. High specification with stylish, modern finishes and incorporating five loft style apartments. A selection of 1 & 2 bedroom luxury apartments in this historical, beautifully restored period building in the centre of Lewes. Newly converted each of these apartments offer state of the art fitted kitchens & bathrooms, great views, allocated parking and landscaped communal gardens. A luxury development of nine stunning contemporary 3/4 bedroom homes featuring spacious living area, beautifully appointed open plan kitchen/dining and living rooms, landscaped rear gardens and allocated parking. Six new, beautifully appointed, 2 and 3 bedroom top floor apartments in Central Hove, all with allocated parking. A selection of 3 & 4 bedroom newly built family homes in an elevated position with views across Newhaven towards the sea. Finished to the highest standard these contemporary houses all offer garages, gardens and balconies. 1 & 2 bedroom apartments for purchase through the shared ownership scheme at the stunning new development, The Boardwalk on the West Quay in Brighton Marina. A stunning collection of 13 contemporary riverside homes, located on the River Ouse in the heart of Lewes. Prices start from £695,000 up to £1,550,000 comprising a selection of one, two, three and four bedroom houses. A stunning new redevelopment of 17 apartments set within two historic Georgian properties in Marlborough Place, which overlook Victoria Gardens in the cultural heart of Brighton. A striking new landmark development on the coast road, at the border of Hove and Portslade. A selection of 1 and 2 bedroom apartments all with balconies or terraces and the majority with sea/port or downland views. A collection of four generously proportioned penthouses in the heart of Central Brighton, close to the seafront, with good sized terraces and rooftop views. Phase two comprises a selection of detached and semi detached 3 & 4 bedroom houses, with superb views across the Tidemills Nature Reserve in the Denton area of Newhaven. An exclusive new development of 31 luxury apartments, with views across Preston Park and the tennis courts. A selection of one, two and three bedroom apartments with stunning interiors and specification, to include a 2,500sq ft penthouse. A stunning contemporary development of nine x two, three and four bedroom houses, superbly appointed with highly specified kitchens and bathrooms and contemporary finishes throughout. A striking city centre styled and refurbished new development, minutes from Brighton seafront and comprising five apartments situated in a Grade II Listed Building in the heart of Brighton’s Laines. Superbly appointed development of six, three bedroomed homes situated immediately adjacent to Cooksbridge train station and with car parking. One Hove Park is a remarkable development of one, two and three bedroom apartments, situated in a unique position overlooking Hove Park, with easy access to Hove station. The development offers a total of 71 private market and shared ownership units. A select development of nine family homes comprising three and four bedroom houses, arranged around the central courtyard. Award winning new apartments, literally seconds from Brighton station in Brighton’s New England Quarter a stunning collection of one, two and three bedroom apartments. In total Super B offers 147 private market and shared ownership units. A striking development of two town houses, situated in the heart of Lewes and finished to a high contemporary specification.